First off, I will just show you the totals expected by Tuesday morning. 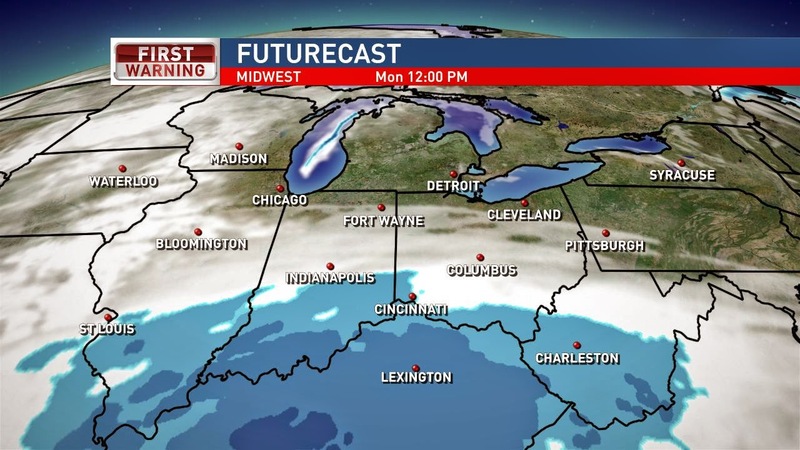 Monday morning will be dry, but the snow will start in Southern Ohio first. The system will be tracking to the NE and the northern edge will sneak its way closer to I-70 for the late afternoon and evening. 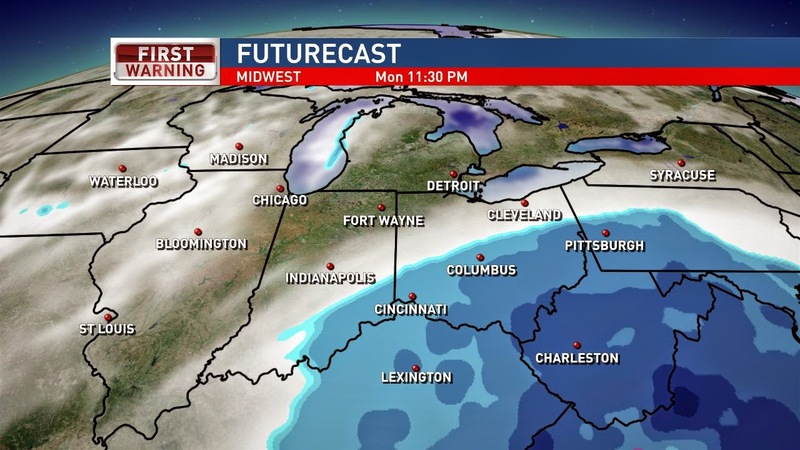 By late Monday night the snow will continue falling across the Southeastern half of Ohio, but will be on it's way out... By 4AM Tuesday all the snow will be gone. Here are the latest Winter Warning products, as of 4PM Sunday. The storm seems to have held steady, but as we all know from two weeks ago, it still may shift more North. It seems to have had a shift late last night and has been holding steady with this afternoon's models. 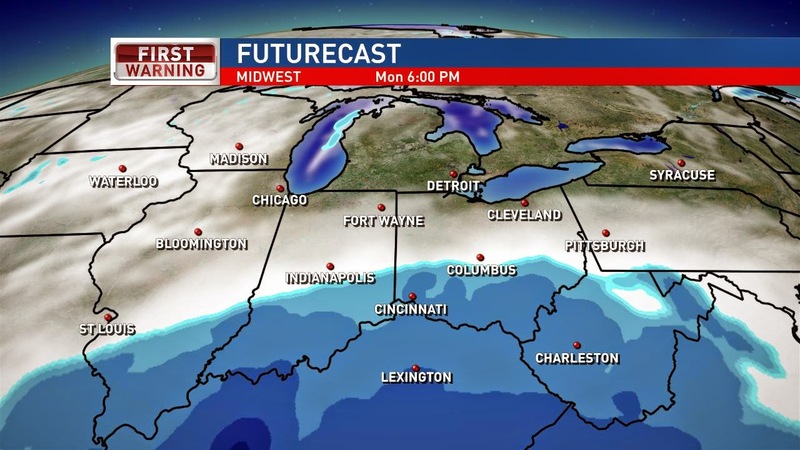 South and Southeastern Ohio will see 4"-7+" by Tuesday morning. 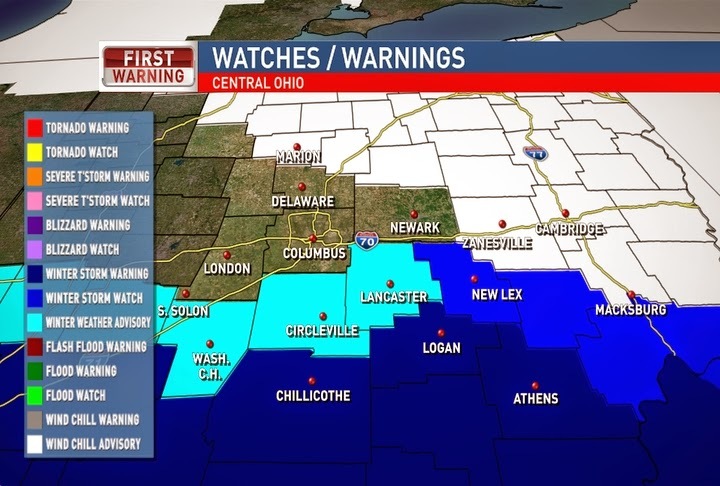 The I-71 corridor from Cincinnati to Columbus will see 2"-4" and then the I-70 corridor from Columbus to Wheeling will see 2"-4". Areas to the North of this will see less snow. Little to no snow for Northwestern Ohio. Another strong cold front late Tuesday will bring another arctic blast of air for the late-week... so no tropical temps anytime soon for Ohio. Maybe getting into the 30's by next weekend... is that tropical for us now? Have a good one!